If You are a student and want to be an entrepreneur or have a startup and needs help in funding, and mentor. Then you are at a good place. Here I am providing you with the latest e-summit organising in Delhi on 13th and 14th April 2019. 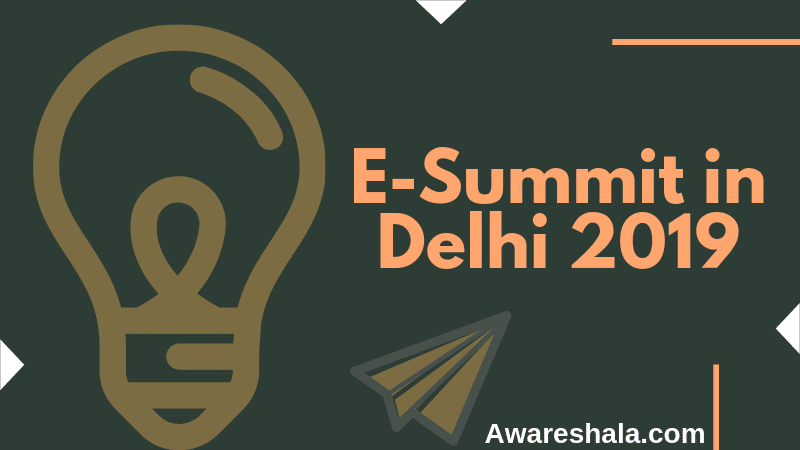 It is an E-Summit in Delhi which serves as a stage for students those who are interested in entrepreneurship. And want to meet entrepreneurs who have already built million dollar companies and share their Ideas with them for funding, mentorship etc. 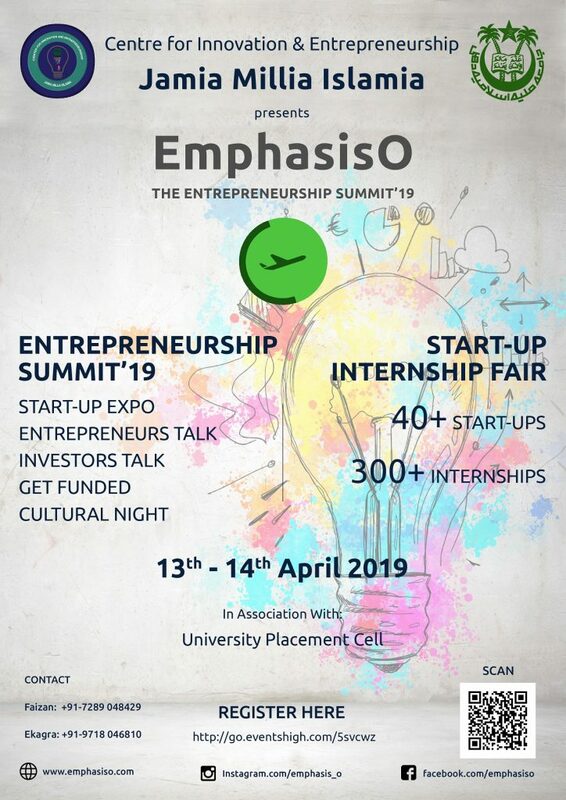 EmaphasisO‘19, Jamia Millia Islamia is open for everyone who is interested in it. Students will be going to get a lot of opportunities like entrepreneurial assets, like-minded people, a community of entrepreneurs to discuss ideas with them. Basically, it is a two days event. On 13th April, the summit will start with entrepreneurs and angel investor talks on various topics. For example: needs of startup, their entrepreneurial journeys, leadership qualities, mentorship etc. In addition, the startup pitching session will also organize for funding for 10 startups. Moreover, there will be also an area where promotion and showcase of 30 startups will be done. On the 14th of April, this event will also feature approx 50 startups in the Internship Fair for providing almost 500 internships to a different domain of students. All internships will be paid ranging from 5k to 15k INR. So at last, this e-summit in Delhi will be beneficial for students. Note: When you buy a ticket, you will get a complimentry pass for Internship fair and apart from it, you will be provided with energy drink, pen diary etc. To connect and grow more new businesses. Access to Indian markets and businesses. To promote and launch innovation-driven products and services. Above all, most importantly To establish fruitful partnerships and collaborations with governments, industry and institutions. The event revolves around the core value of building a startup and solving problems thereby. It is the first initiative taken in Jamia to enlighten the spark of entrepreneurship in students. Moreover, this will also lead to a creative way of job creation in the university. University Placement cell of Jamia Millia Islamia university along with Centre of innovation and entrepreneurship is organising this e-summit efficiently this year.